This preamp's high-quality, low-noise circuitry gives you the warm sound that vinyl is famous for at a bargain price. Do you have a turntable, but no phono input on your receiver or shelf system? No problem — just hook up the Pro-Ject Phono Box MM preamplifier inline between your record player and any of your receiver's aux inputs, and you're ready to enjoy your LP collection all over again. This preamp's clean, simple design takes advantage of high-quality, low-noise circuitry to give you the warm, richly detailed sound that vinyl is famous for, at a bargain price. Purchased this Project preamp a few weeks ago,easy install and was anxious to drop the needle I experienced a deeper base and clarity from the midrange,I would recommend this to everyone needing a preamp. I have a tune table with a R1000-EDT magnetic cartage. 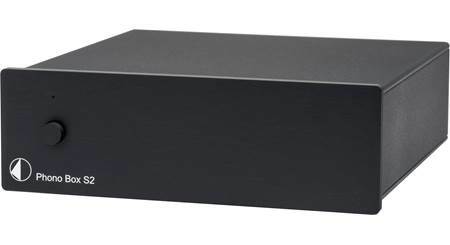 Will the Pro-Ject Phono Box MM work with my turn table? It looks like the R1000-EDT is a moving magnet cartridge, so this should work for you. I would recommend reaching out to an Advisor by phone or online chat first to double check though. 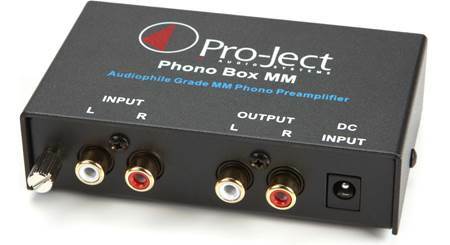 Phono (MM) Preamp: The Pro-Ject Phono Box MM allows you to connect a turntable with a MM (moving magnet) cartridge to a home receiver or amplifier without a dedicated phono input. Metal Case: The Phono Box MM's metal case shields the electronics from vibration and electromagnetic interference. Dual-Mono Circuitry: The Phono Box MM provides optimal channel separation through dual-mono circuitry and low-noise ICs. 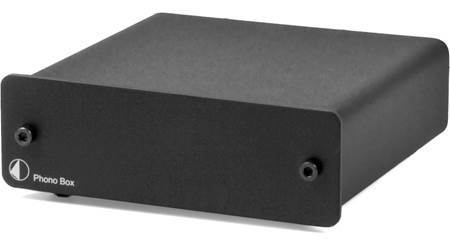 RIAA Equalization: The Pro-Ject Phono Box MM provides amplification and RIAA equalization for MM cartridges. RCA Connections: The Phono Box MM features gold-plated stereo RCA connections. A stereo RCA input connects your turntable, and a stereo RCA output connects your home receiver or amplifier. RCA cables sold separately. Ground Terminal: The phono preamp also has a turntable ground, in case your turntable has a separate ground lead. This provides shielding to the tone-arm and the sensitive circuitry in the turntable. 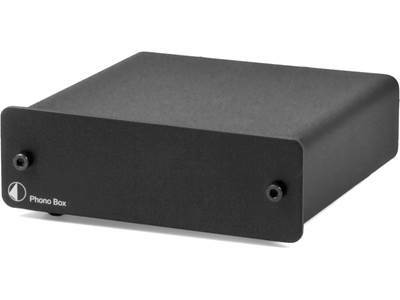 Outboard Power Supply: The Pro-Ject Phono Box MM is powered by the included DC power supply. 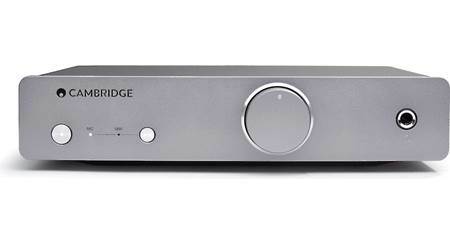 The external power adapter is separate from the phono preamp to further improve sound quality. I have a new Pro-Ject DEBUT Carbon DC turntable that was bought from Crutchfield. It has a a Ortofon 2M Red cartridge. I believe it is a MM cartridge, but not positive. Since my Sony Receiver doesn't have Phono inputs. Will this work? Thanks in advance. Yes. This box solved the exact same issue for me. Yes, your Ortofon cartridge is a MM (Moving Magnet) cartridge. 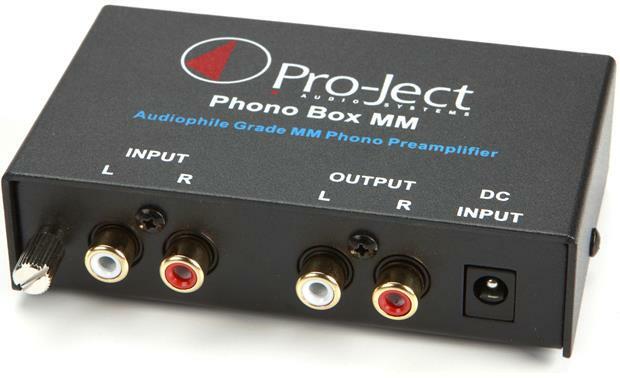 You need an MM phono pre-amp like this one (which is great, by the way). Plug your phono pre-amp into any of the line outputs (marked CD, Aux, etc.). You'll be off and running. Yes. I have the same turntable and a Yamaha amp and use thr same project pre amp. How would I know if my turntable has a moving magnet cartridge and would be compatible? My turntable is a very old direct drive Marantz . Thanks for your question. For information on determining the type of cartridge your turntable has I would recommend trying an internet search for the model number. 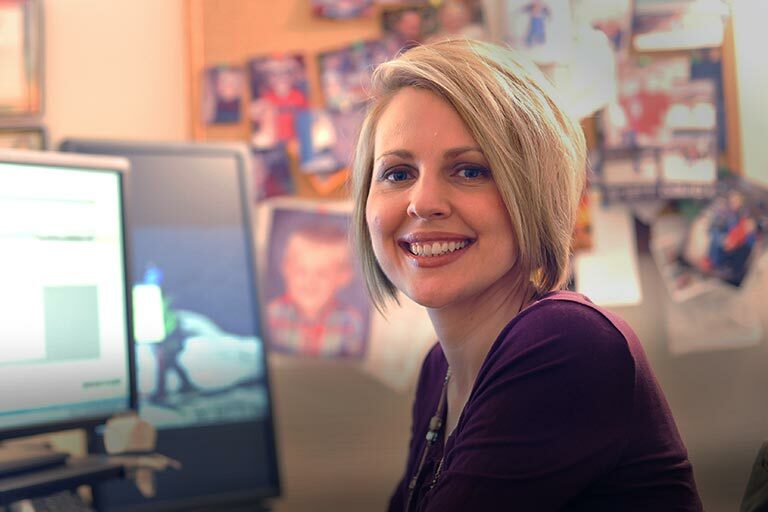 Yo could also reach out to an Advisor by phone or online chat. They will be able to help determine the type of cartridge and help you get the best gear for your system. 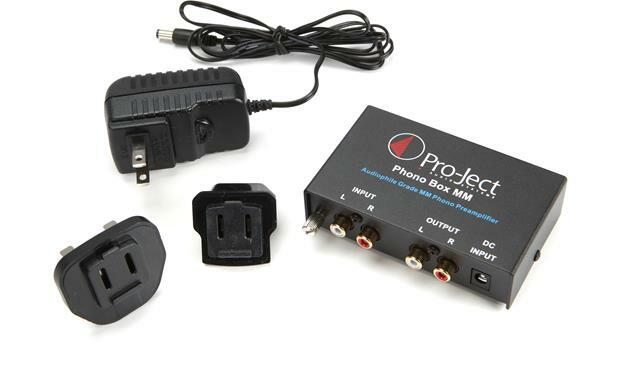 Searches related to the Pro-Ject Phono Box MM Phono preamplifier for moving magnet cartridges.